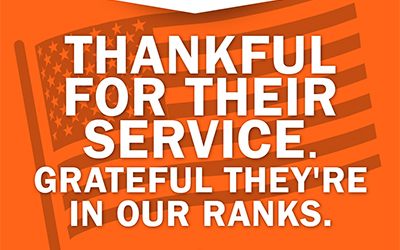 Schneider is one of the nation’s largest and most decorated employers of current and former military personnel. We’re proud to offer great military truck driver jobs to recognize that service. Fill out our quick military pre-qualification profile and read below why 22 percent of our drivers have military experience. If you served in the military, we’ll reward your commitment with higher starting pay. 25% of time applied to driving experience credit if you served in a non-transportation capacity. 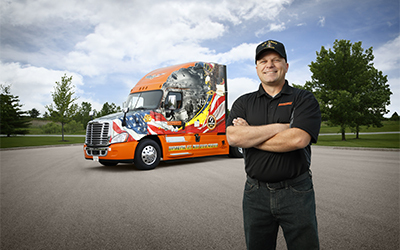 Call a Schneider military recruiter today to talk through which benefits you qualify for: 866-VETS-CDL. 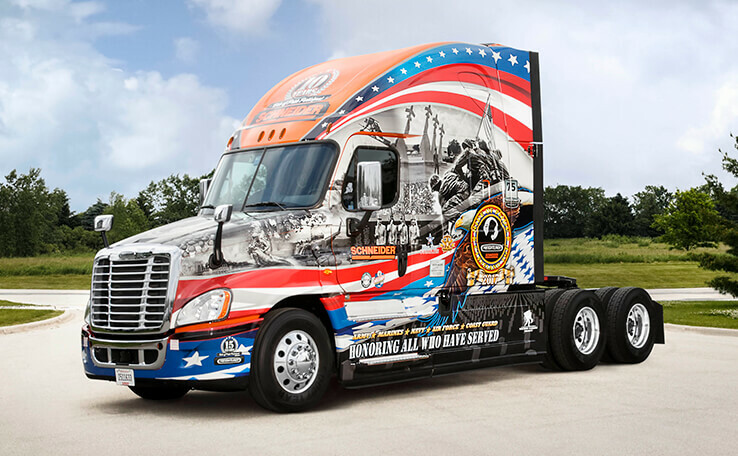 Schneider is proud to have received 11 Ride of Pride trucks, a special fleet that serve as rolling tributes to military members past and present. Each Schneider driver who captains a Ride of Pride truck is a veteran, and the trucks travel to special events throughout the country. 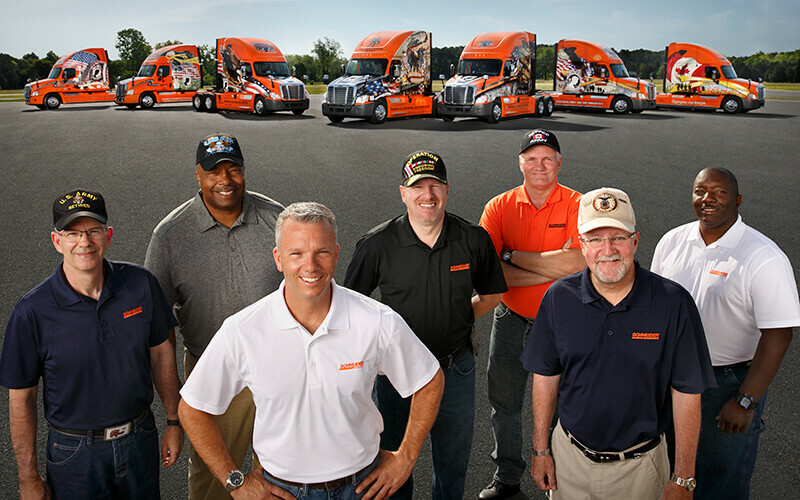 Check out the program, the trucks and the drivers honored to participate in it.